The CMLTO publishes lists of approved refresher courses for MLTs. Refresher course hours may be required for a person applying for a Practising class of registration certificate who cannot demonstrate active engagement, or for a Non-practising member who wishes to change class to Practising. In early 2019, the Guidelines for supervision underwent a content review and revision. The Registration Committee passed a motion to approve the updated Guidelines for supervision in early April. MLTs involved in supervision assume professional responsibility for those whom they supervise, and can expect to be held accountable for the work of people under their supervision. The updated guidelines clarifies the general expectations for MLTs performing supervisory roles, in conjunction with the CMLTO Standards of Practice, Code of Ethics, and other CMLTO Practice Guidelines. Access the Guidelines for supervision (PDF), along with other CMLTO professional practice resources by clicking the links. Please note that the CMLTO office will be closed on April 19, 2019, for the Good Friday statutory holiday. Regular office hours resume at 8:30 am on Monday, April 22nd. The CMLTO is committed to building relationships with members, other health profession colleges, key stakeholders, and the public. We are pleased to provide speakers on a wide variety of topics, including its regulatory role, ethics and professionalism, interprofessional collaboration, and the Voluntary Roster of Registered Medical Laboratory Technicians. 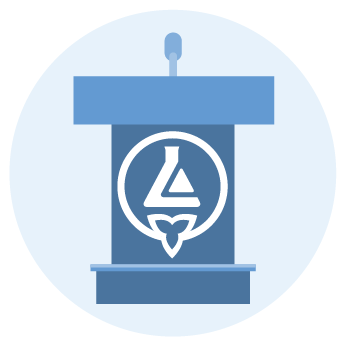 To request a CMLTO speaker to deliver a presentation, please e-mail memberrelations@cmlto.com.